For eventing, endurance, and dressage. 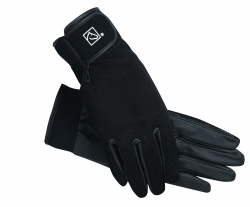 With Reinlock palm for better grip and a soft touch. Palm material is skin thin yet durable and it breathes so hands stay cool. Elasticized back for comfort and flexibility. Machine washable.